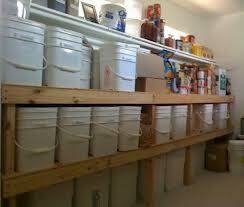 Mormon food storage advocates starting simple in small quantities and increasing quantities over time. The recommendation for starting is to keep three-month’s supply of food in the initial stage. This beginning supply should be part of your regular weekly shopping as you pick up a few extras that could feed your family for at least a week. The intention is to have a year’s worth of food put aside just in case a disaster occurs and food supply is short. Apart from food, saving emergency money is an integral part of the Mormons’ disaster planning strategy. As well as putting together a three-month supply of food, it is necessary to store water and money before even attempting to start a one-year stockpile. To the Mormons, storing food is a process and not an overnight activity that you must do in one big step. It is also a means of being ready in the event of an emergency and not with the intention of preparing for doomsday. The plan calls for placing food items in such a way that the older items are at the front. This will ensure their use before they reach the date of expiration. If you are unable to use the items that are nearing expiry, give them away to others. The Mormon food storage approach calls for taking action to not only have enough food and water in the event of a catastrophe, but also to prevent spoilage and waste. The requirements for a storeroom under this approach is similar to other sites and organizations that encourage keeping a supply of food. Containers for storing foodstuff should be the right type for that item. To keep pasta fresh, put some coarse salt into the container with the pasta as this will absorb moisture. If the storage area is not as dry or cool as you would like it to be, use Superpails or number 10 cans as your containers. The special design of these containers will help to reduce spoilage. The location in which you will keep the containers is also important. If you want to prolong the shelf life of foods, they should be in an area where direct sunlight is unlikely to reach. The area should also be cool with a steady temperature, as variations will lead to spoilage of many types of foodstuff. For most types of food supplies, dark and cool are the safest bet for long-term storage. To prevent damp, the items should ideally be on shelves and not directly on the floor, especially if the flooring is concrete. Likewise, they should not come in direct contact with concrete walls. Many techniques on stockpiling food exist, but some organizations provide much more details than others do. 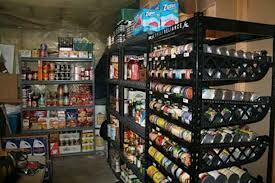 One of the most popular methods are the Mormon food storage guidelines. Whichever guidelines you choose, remember that changes will be necessary to suit different individuals and their family’s needs. When you are putting together the items for your family, remove from the list those items they do not like and add more items that they enjoy. Including some comfort foods such as cookies, granola bars, hard candy and even chocolate is allowable. Go to it!